How Far is Vaishnavi Oasis? Placed in one of the prime locations of the city with a proximity that makes you to commute faster. The connectivity is quite awesome as the place is surrounded by the major connecting roads on all sides. Vaishnavi Oasis is encompassed with prolific green courtyard and provide your living space with ample ventilation. A home is where your heart is, Vaishnavi homes provide you with the same. Spread out over a sprawling 3-acre property, the project offers 2 BHK Apartment in Kanakapura Road with carpet area sizes ranging from 858 – 883 Sq. 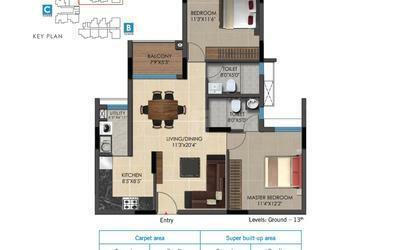 Ft. & 3 BHK Apartment placed in serenity with luxury plans carpet sizes ranging from 1014 – 1218 Sq. Ft. in a wide-open space, dotted with plenty of greenery that every day you cherish your homecoming. Vaishnavi oasis an Ready to Occupy project by Vaishnavi Group in Kanakapura Road. 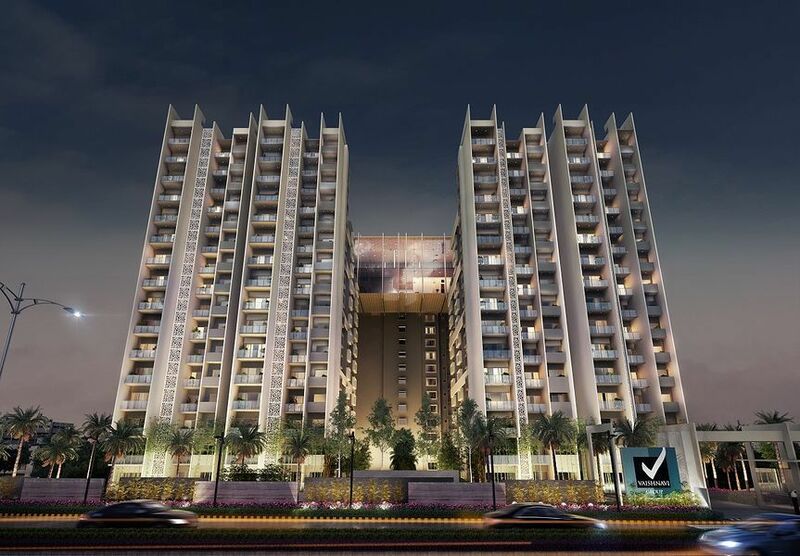 The project is deemed to have a lot of spacious apartments which will make you stand in awe. The project is decking up Kanakapura Road to a different level as it is one of a kind. Presenting Vaishnavi Oasis, homes that give you the assurance that everything you aspired for and wished to have in your dream home is possible. Every home here is crafted to perfection where you are filled with a feeling of contentment. A feeling that you are close to the life you always aspired for. And tell yourself "I am home". Just 10-min drive to Yelachenahalli metro station and located in JP Nagar., 9th phase. Vaishnavi Oasis - A world of priceless moments, limitless joy and a doubtless future. Aspirations have been the driving instinct for all of us to grow. The beauty of the imagination lies is in its magnitude, fantasy and in an element of the farfetched. It goes without saying that life shouldn't take U-turns or stop at every bump through compromises - where we let reality overtake our ambitions. Kanakapura road being already a Realty happening area is also flourishing with many Upcoming and Under Construction projects in Bangalore. One of the locality which is being closely monitored for its unique connectivity and its infrastructure. Even though there is a lot of urbanization happening around the city, still kanakapura Road remains a remarkable serene locality to boast its green acres and lavished open spaces. Since its inception in 1998, The Vaishnavi Group is a Bangalore-based developer of residential and commercial property that has created wealth for its customers through steady appreciation triggered by ideal location, quality construction and overall aesthetics. The Vaishnavi Oasis one of the prestigious projects by the builder developed on a BBMP Approved layout is comprised with 2,3 BHK Apartments in Kanakapura road, Bangalore. The Vaishnavi Gardenia one of the project which is built to satisfy both compact and luxury home seeker comprises a more spacious 3 BHK Apartment in Jalahalli, Tumkur Road, Bangalore. The Vaishnavi Group is also the sole proprietor of The Terraces which is an Ready to Occupy project placed in RMV, Bangalore. We, The Vaishnavi Group, are an alliance of companies who have over the years collectively handled every aspect of real estate development across Bangalore, since 1998 – from sourcing legally unencumbered land, raising capital; to structural, architectural design and taking it to the next level, of marketing mid-range and luxury properties, till date. We have taken a strategic decision, as a brand, to entirely focus our vast competence on a Niche Ultra-Luxury Segment, consequently, we now have a line-up of impressive and unique projects in the pipe-line to offer our valued customers. 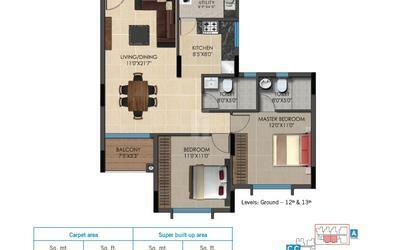 The Vaishnavi Triniti one of the under-construction project of the builder is built with 2, 3 BHK Apartment in Kempapura. They professionally manage the all the developmental activities that are needed to develop luxury Real Estate end-products, by judiciously delegating its various specializations to a network of highly specialized in-house and associated professionals. Producing the niche ultra-luxury segment for you, it ensures that all the customers feel a pleasant experience with sophistication and comfortability. The developer is one of the Top builders in Bangalore being located majorly in Bangalore and actively developing landmarks which holds the dreams of varies class of people from a affordable home seeker to Luxury villa seeker. The developer is also one of the builder in Bangalore who develops service apartments in Bangalore.